List Rules Vote for the best John Wick: Chapter 2 movie quotes! John Wick: Chapter 2 movie quotes help tell another story in the sequel about a retired assassin who returns to the industry, this time with his new dog. The action thriller was written by Derek Kolstad and directed by Chad Stahelski. Following up on the 2014 hit, John Wick: Chapter 2 opened theatrically on February 10, 2017. 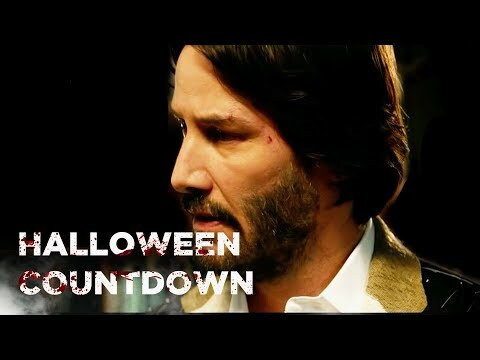 In John Wick: Chapter 2, John Wick (Keanu Reeves) is a retired assassin who now spends his days peacefully with his dog. While he came out of retirement once already, in the first film, John vowed that the previous time would be the last. That was all going well, at least until a former associate came to him looking for help. John, knowing the grave consequences should he decline this job, accepts and heads to Rome. There, of course John Wick buys a new suit and loads up on some firearms, then battles some of the world's deadliest killers. Costarring Common, Laurence Fishburne, Riccardo Scamarcio, Ruby Rose, John Leguizamo, Ian McShane and Bridget Moynahan, John Wick: Chapter 2 opened alongside other great movies including Fifty Shades Darker, The LEGO Batman Movie, The Comedian, and The Space Between Us. Winston: You have no idea what's coming. 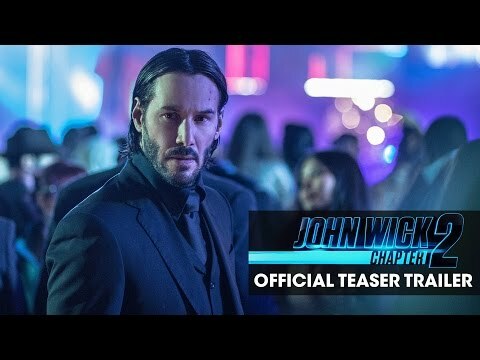 Hotel owner Winston offers John Wick some words of insight in this John Wick: Chapter 2 movie quote. Winston warns John that this isn't any ordinary mission, rather one quite unexpected. John Wick: Whoever comes, I'll kill them all. Winston: Of course you will. When John Wick announces to Winston that he will kill whoever is necessary in these John Wick: Chapter 2 movie quotes, Winston doesn't appear one bit surprised. Why would he? John Wick is a seasoned assassin so killing is what he does. Tailor: Is this a formal event or a social affair? To prepare for his social gala, John Wick heads to a fine tailor to get suited up in these John Wick: Chapter 2 movie quotes. But when John asks for a tactical suit, rather than a professional one, something suggests this might not be the average social affair. John Wick: You want a war, or you want to just give me a gun? The Bowery King: Somebody please get this man a gun! John Wick tries to convince his foes that one way or another, he's going to win this battle so they should just stand down now. Crime lord The Bowery King calls on John to prove just that and orders him to receive a gun.